Guest post written by Valerie Ward. Valerie blogs about sustainable local food at Earthward: Ottawa Seed to Table and is a graduate of the Sustainable Local Food program at St. Lawrence College. She is also a freelance writer and editor whose articles have appeared in national newspapers, industry journals, lifestyle magazines and online publications. Just minutes from Ottawa on a 150-year-old farm next door to Gatineau Park, Québec, a new community development is taking shape that is unique in Canada and a rarity in North America*. Called Hendrick Farm, the development offers an alternative to the cookie-cutter suburbs that dominate residential living today. Instead, it has been designed as a walkable, conservation community that integrates eco-friendly housing, greenspace and village-scale commercial use. More unusual still, it contains an organic vegetable farm whose goal is to connect residents with healthy food and with the land’s agricultural past. 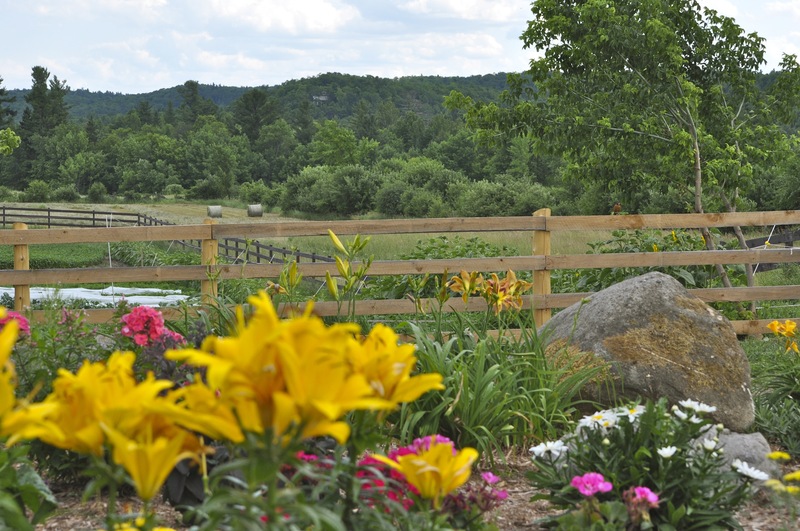 Here’s an overview of Hendrick Farm, and the people and philosophy behind it. Since World War II, most housing developments have been designed around the automobile, says Christopher Moise, an architect at FOTENN Consulting who worked on the Hendrick Farm land use plan. As a result, housing, business and recreation areas tend to be physically isolated from each other, forcing people to rely on cars. Instead of keeping live-work-play elements separate, Moise says, Hendrick Farm brings them together. In addition to homes, the development includes parks, the vegetable farm, and small-scale shops and businesses, all of which will be linked to Gatineau Park and the neighbouring village of Old Chelsea through trails and paths. Nothing in Hendrick Farm will be more than a 10-minute walk from anything else. Roads in the development will be narrower and more winding than the norm to make walking more enjoyable and reduce hard surfaces and run-off. Neighbourhood car use will be de-emphasized further by modifying the typical suburban house layout–eliminating the front driveway, moving the garage behind the house and adding a rear-access laneway. These changes will open up street views and encourage neighbours to interact, Moise says. Homes will be clustered to avoid sprawl but laid out to balance privacy and community. Each home has been designed exclusively for Hendrick Farm, and features eco-friendly materials and systems. Prices for the Phase I homes range from $400K to $650K, including land. 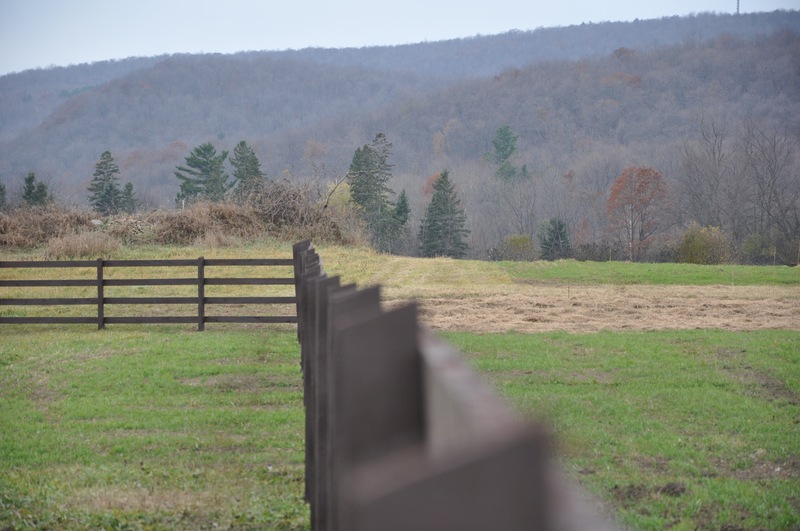 Fewer than half of Hendrick Farm’s 107 acres will be developed, leaving ample room for a 35-acre nature preserve, a variety of parks and the seven-acre organic vegetable farm launched in 2012. The farm will provide residents with a direct connection to food production, so they can buy fresh local vegetables at the farm gate rather than having to drive to an Ottawa farmers’ market. This year, the farm is growing 60 varieties of organic vegetables, to be distributed through a small CSA, but mostly sold at the farm gate and the Old Chelsea Farmers Market. There are also plans to bring local school children to the farm to teach them about food and sustainable farming. In the longer term, the farm could be part of a local food hub including a commercial kitchen and other resources to connect local farmers, food sellers and eaters. Their hard work and commitment have also won widespread support from the surrounding community. “That’s not something you can say about many developments,” Wallace notes. Contact Hendrick Farm for more information. * Similar developments in the U.S. include Serenbe in Georgia and Prairie Crossing near Chicago.